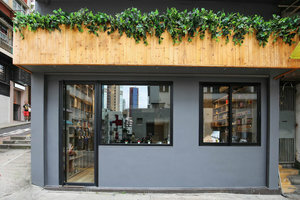 This cozy cafe is situated in the creative area of Sheung Wan. The welcoming cafe is an ideal venue for a Pop-Up Store, Product Launch or Event serving food and drinks. This cafe boasts a welcoming frontage with an inviting window display, there is a cozy feel with great visibility. 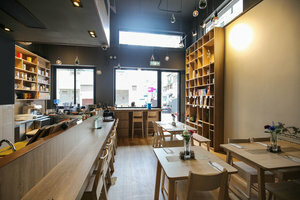 This welcoming cafe is warm with wonderful interiors of wooden flooring and wooden furniture. 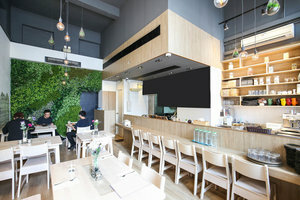 With sleek windows and a brilliant atmosphere, this cafe is well-equipped for Pop-Up Store with chairs and tables, a kitchen and air-conditioning. Located close to SoHo, this cafe benefits from steady foot traffic and is ideal for brands and startups to gain exposure.